Stained glass windows are a long term investment in the beauty of your building. 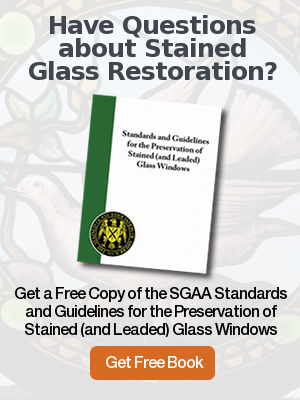 Since many stained glass installations in the United States are 100 years old or older, they may require restoration and/or repair services. Even younger windows can require repair if they were installed incorrectly or have had modifications, such as insulating panels, that were performed incorrectly. The windows start to buckle and/or bulge. Look at them on an angle to see the severity. They have been improperly protected without venting. Look at the leads on the exterior to see if they are turning white (oxidation). 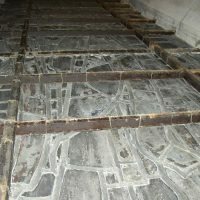 Check the reinforcing bars on the interior. If they are flat bars, see if the joints are cracked or broken off. If they have copper tie wires around the bars, see if the tie wires have come undone. Left too long, stained glass windows will deteriorate to the point where the lead cames fail and pieces of the glass can actually fall out of the window. A recent example of this was at the Holy Rosary and St. John the Evangelist Catholic Church in Columbus, OH. See the news report at this link. 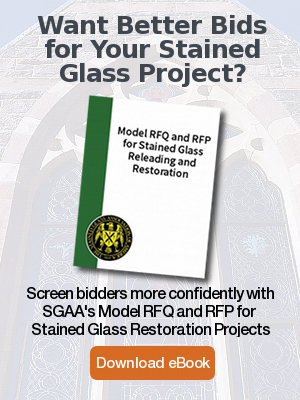 If your stained glass does need repair, you can reduce the cost of restoration, and ensure that all the sound glass in the windows is there for future generations to see by scheduling renovations before your stained glass windows fail. 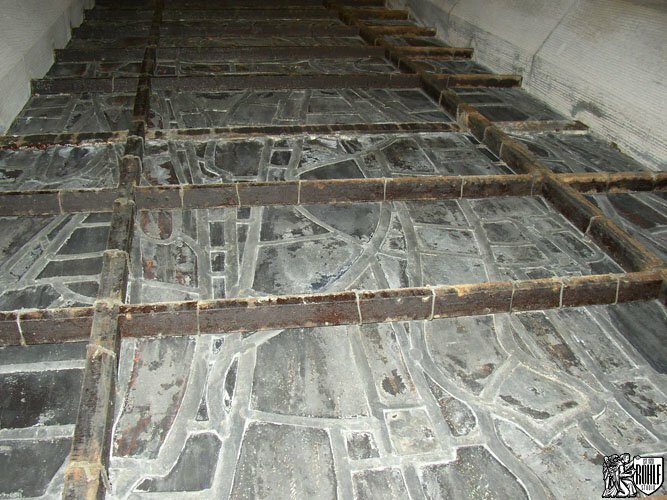 If you are concerned about the state of the stained glass in your facility, and want to know for sure if your stained glass windows need repair, please schedule a professional stained glass inspection with Rohfl’s. Just call or email; we’d be happy to help.